A Chartered Member of the CIPD, Perry has led business change and organisation development for 20 years and now doubles his role as Director of People & Learning at adventurous digital agency Media Zoo, with his own venture (PTHR) which includes a connected learning community that doubles as a “virtual organisation” of over 110 HR, Learning, Change and Technology professionals (the iPractice). Perry is also adviser to the CIPD on Social Media, a TEDx and international speaker on the future of work, a member of the IBM Future of Work programme, a top 10 HR blogger, is Vice Chair of the Northamptonshire CIPD Branch, a Visiting Fellow at Sheffield Hallam University Business School, a Fellow of the RSA and Chief Connector for WorldBlu.com - helping to build more freedom-centred workplaces. 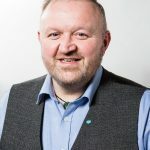 An experienced chair, coach, facilitator, mentor, and hackathon guide, Perry is renowned for his enthusiasm, energy and forward looking approaches to learning, work and people development. Writing for a range of HR journals, and author of the e-book “HR 2025” - Perry is known for his alternative views on the world of work and is referred to as the HR Futurist by the CEO of the CIPD. Succession Planning – what’s the point? Remote Working: is there anybody there? Learning Through Technology It’s unavoidable…or is it? Organisational Development in Strategic HR – is now the time we ALL became OD Practitioners? I don't know about you but I am a bit jaded by these 2 words in combination. I don't get all animated when they're used but I don't exactly get fired up buy them though. The words Social Business I get all fired up about but that's probably a future blog as to why that is. Change Management leaves me a bit cold.